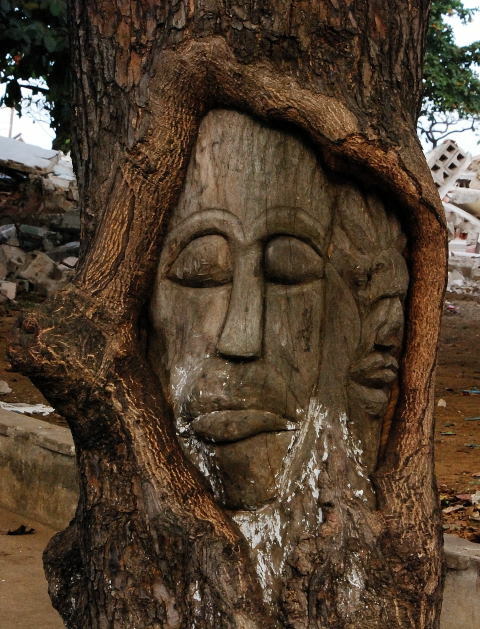 Sao Tome has many types of public art, much of which is threatened by neglect. Along one stretch of road someone has gotten creative with tree knots. However, construction nearby threatens to kill the trees, and they may not last very long. I just hope this kind of arts are being preserved. Great Creation. Live tree ?